Until now, the FBI is asking for Apple's help in unlocking the iPhone belonging to one of the terrorists in the San Bernardino shootings that killed 14 and injured 24 in December. However, in addition to iPhone 5C belonged to San Bernardino shooter Syed Farook, the U.S. Justice Department is looking at court orders forcing Apple to help officials unlock at least 12 iPhones. Citing sources, the Wall Street Journal reported that the federal authorities want to extract data from iPhones seized in a variety of criminal investigations are involved in undisclosed cases where prosecutors are compelling Apple to help them bypass iPhone's lockscreen. Although more details of these cases are not yet publicly disclosed, these dozen or so cases are all distinct from San Bernardino shooter's case and involve many iPhones using an older iOS version that has fewer security barriers to bypass. Also Read: Police Reset Shooter's Apple ID that leaves iPhone Data Unrecoverable. However, Apple is fighting government demands in all these cases and, in a number of cases, had objected the US Justice Department's efforts to force its company through an 18th-century law called the All Writs Act, according to which, the courts can require actions to comply with their orders. Apple's refusal to unlock iPhone linked to one of the San Bernardino shooters has escalated a battle between the technology company and the U.S. Federal Bureau of Investigation. Although many Big Fishes in Technology industry including Facebook, WhatsApp, and Google supported Apple's stand, many politicians including Donald Trump have criticized and opposed Apple. ...and the latest in the opposition of Apple's decision is Microsoft co-founder, Bill Gates. "Nobody's talking about a backdoor," Gates told Financial Times. "This is a specific case where the government is asking for access to information. They are not asking for some general thing, they are asking for a particular case." However, in a separate interview later Tuesday with Bloomberg, Gates said he was "disappointed" with headlines based on the FT report claiming that he supported the FBI in its ongoing battle with Apple, saying "that does not state my view on this." In past, Microsoft had collaborated closely with the US government agencies to allow its users' communications to be intercepted. Microsoft helped the NSA (National Security Agency) to circumvent its own encryption and built a series of backdoors into Outlook.com, Skype, and SkyDrive to ease difficulties in accessing online communications, according to documents leaked by Edward Snowden. 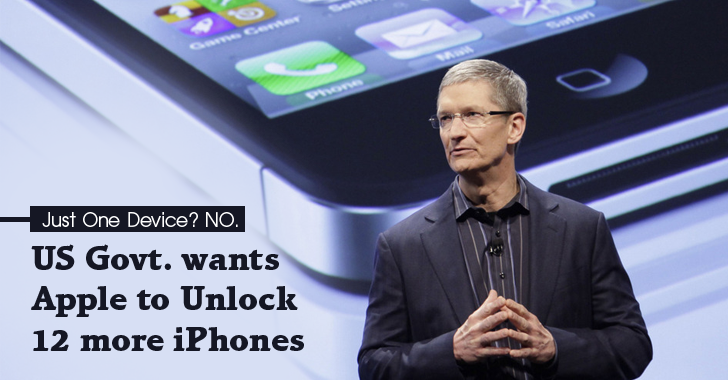 Also Read: Now We Know – Apple Can Unlock iPhones, Here's How to Hack-Proof your Device. Carole Adams, whose son Robert was killed in the terrorist attack last year, has supported Apple's stand on encryption and said the company is within their rights to protect the privacy of all United States citizens. The battle between Apple and the FBI, in which the agency is asking the company to create a backdoored version of iOS for unlocking the shooters' iPhone 5C, is taking new twists and turns every day, so let's see who wins.